My entertaining book about hillwalking - the Weekend Fix - has been out for over a year now, but has only recently started to garner reviews. I'm pleased to say they are positive - although I would tell you that, wouldn't I! From The Angry Corrie noting favourably that 'the great man' (Hamish Brown) had provided an introduction and concluding with "It is a rare volume that could inspire me to climb Billinge Hill! ", to the Scots Magazine informing their thousands of readers that "This book is an easy and enjoyable passage to the misty mountains, as seen through the eyes of one who really knows them and really loves them", via The John Muir Trust Journal's verdict of "Well written and full of humour", I've been fortunate in coverage. "It might fool you into thinking this is a book about the outdoors – which it is, and a very good one. But beneath the descriptions of Craig Weldon’s innumerable days on the hill there is a human story: an understated, poignant coming-of-age tale." So with endorsement from The Scots Magazine, The Angry Corrie, and TGO, if you haven't bought a copy yourself yet, why not treat yourself? A blackbird in our garden has taken to singing a recognisable tune, over and over: The Bonny Lass o Fyvie. Several times an hour, amongst what seems like otherwise random warblings, the unmistakable first five notes pour out from our troubadour on the telegraph pole. Along with the days getting longer and warmer, the song of the blackbird is one of the sure-fire indicators of spring. Did I say the days were getting warmer? I hadn't been up the West Highlands since November, so it was a grand pleasure to head for Rannoch Moor at the weekend. Here though, you would think winter was still in full swing. We stopped at the Rannoch Rowan, known in my circles as 'the tree you say hello to when you're driving past.' I don't know who started this tradition, but it goes back longer than I do. There is something inspiring to the northward-bound mountaineer in its lone, windswept tenacity. This was the first time I have stopped at the Rannoch Rowan rather than drive past. We intended to climb a small hill - only 492m high - at its back. This hill looks nothing special when traversing Rannoch Moor - all attention is taken up with the bigger hills and island-studded lochs all around. This means that this wee pair of hills, Meall Mor & Meall Beag, is utterly neglected. As the connoisseur of viewpoints well knows however, the mucklest brae is no aye the brawest. At the side of Meall Mor is a memorial. We wandered over to take a closer look. Who was the momument for? A plaque on the side explained. What a magnificent place to have a memorial! And a quiet place too. Although an easy walk - one for a quick stop-off on a fine day north perhaps - and despite the exilharating views, we had this wee hill all to ourselves. On my arrival back home, the blackbird was still perched on the telegraph line, singing lustily, his handsome black plumage and yellow beak and eyerims gleaming in the evening sunshine. On impulse I whistled the first five notes of The Bonny Lass o Fyvie. He immediately sang it back. Spring is definitely here in the Lowlands. 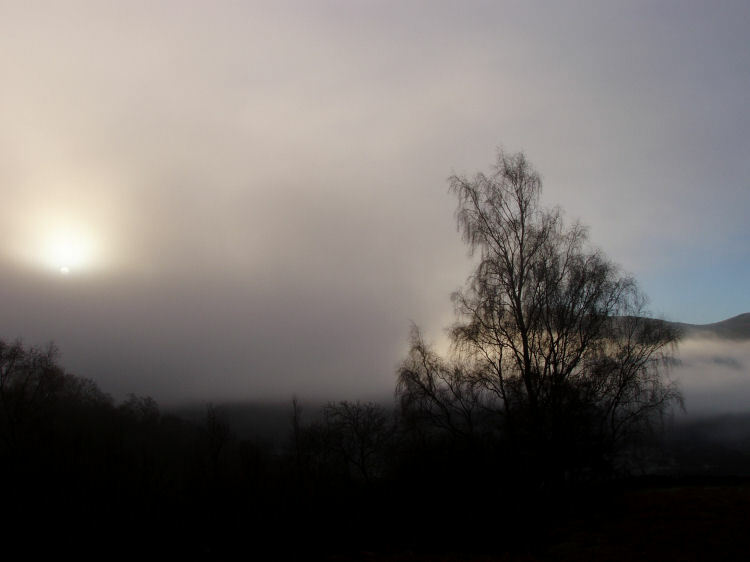 A misty, dull day. The car wound its way along the Glen Lochay road towards the day's objective: Beinn nan Oighreag. 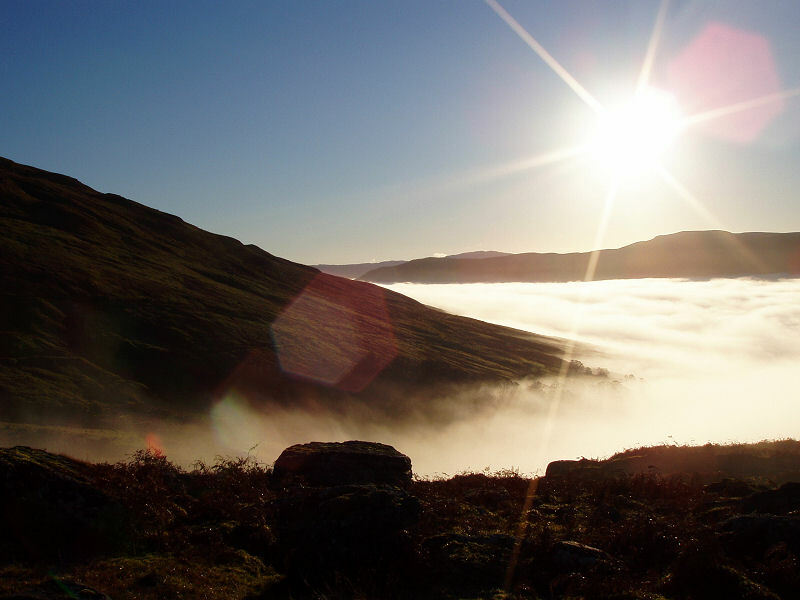 It is 2983ft high though, according to the SMC guide The Corbetts and Other Scottish Hills, was resurveyed in the 1930s and temporarily found to be a Munro, resulting in "a flurry of activity unequalled to the present." And this was the 1930s! The area certainly felt quiet enough today. There was nobody else about except the local farmers and their stock. This was one of my earliest Munro-bagging areas, easily accessible from Helensburgh, and I hadn't returned for years. The wee narrow road and rocks felt homely, couthy. I had preferred instead to return time and again to the more exciting landscapes of the Blackmount and Glencoe. A red squirrel dashed across the road in front of the car to the sanctuary of some trees, and fortunately I missed hitting it. There wasn't much to see in the clag, and I resigned myself to an uninteresting slog up and down. Annoying, as the forecast had been good. But wait - what was that ahead? I had broken out the clouds at an old summer shieling. The change in warmth, visibility, light and mood was marked. I practically danced up the ridge to the top, revelling in the situation. The top has a Big View, ennobled by snowy tops. 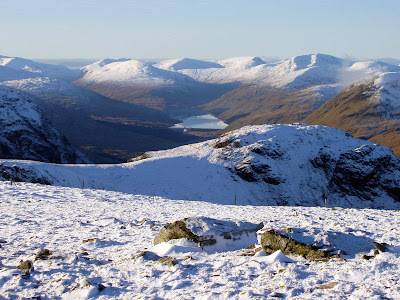 East, the massed bald peaks of the Ben Lawers group. 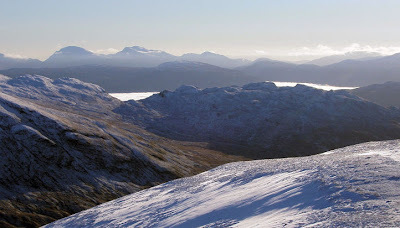 Ben Vorlich south in the sun; Meall Ghaordie's ridges west with the distant rocky peaks of Glencoe beyond. And far to the north, sailling above all, the distinctive white clog of Ben Nevis, Britain's highest peak. I had looked down on this ridge years ago from Meall Ghaordie, thinking that it would be a chore to have to ascend some day. Now here I was, and thanks to the weather it was proving to be a better top than the Munro. I took some more photos, delighted how the day had turned out. 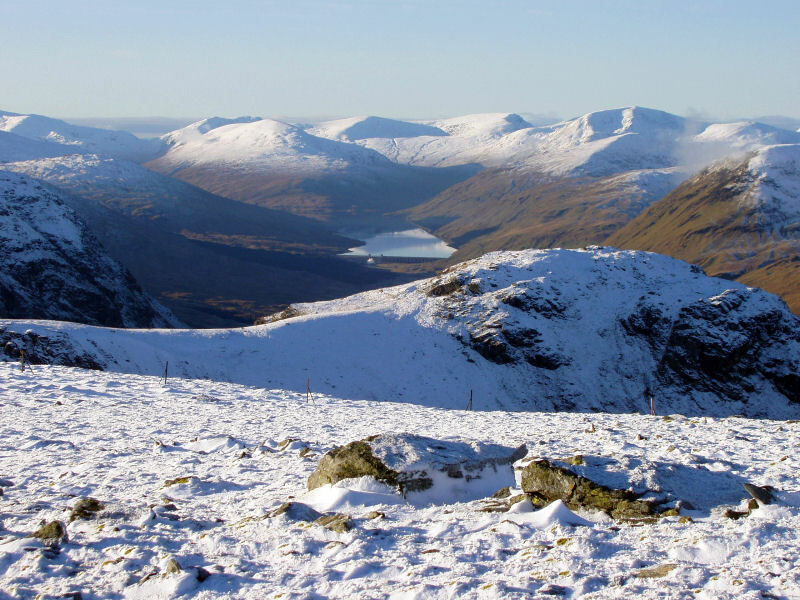 Due to the nature of the superlative scenery and possibilities for outdoor pursuits in Lochaber, its main town, Fort William, is a major tourist hub: but despite this, it is not somewhere people stop for long. It is somewhere hillwalkers pass through on their way to more interesting places, stopping only to buy chips from the takeaway and refill the car with petrol. This is probably because the town itself is industrial, a no-nonsense commercial hub of Lochaber that houses workers for the aluminium factory situated at the base of Ben Nevis. If you end up in Fort William during the day, it is probably because the weather is too bad for the hills; and as many visitors' memories of the town are of trudging up and down the High Street in the rain, passing time by peering disinterestedly into gear shops, it has gained an even poorer reputation amongst the outdoor fraternity than it deserves. Yet there are interesting, untrumpeted sights in Fort William! In all the years I've passed through the town, it was only recently I've been to Inverlochy Castle. This ruin is wedged tight against an iron railway bridge, and exists as a neglected curio rather than a tourist attraction in its own right, despite its history. Battles were fought here in 1431 and 1645, the latter the sharp end of one of the most astonishing forced marches in Scottish history, when the Duke of Montrose brought his small force of royalist Highlanders overnight through a blizzard across the hills to the Fort, and soundly defeated the surprised Campbell defenders, the Duke of Argyll escaping in a galley. Having thus visited the 'old castle' at Inverlochy (the new one is a posh Victorian hotel) I thought that was it, but no - I was excited to discover the fort that gives its name to Fort William still exists! I had always been under the impression that it had been demolished to make way for the West Highland Railway. The remains of the fort are fragmentary, but they are still there: cut off from the town by the coastal dual carriageway. Built by Cromwell's forces to control this strategic point in Lochaber, it was reinforced and renamed after William of Orange in the 1690s. 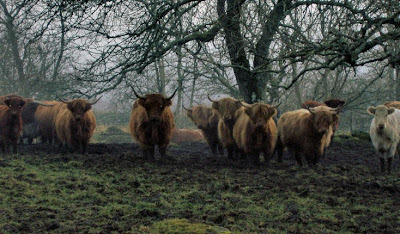 Of all the forts in the Highlands, this must have seemed to the defenders to be deepest in hostile territory, surrounded by glowering mountains. The men of Lochaber were the staunchest supporters of the exiled Stuarts, and the area was first to rise and last to disperse during the '45. 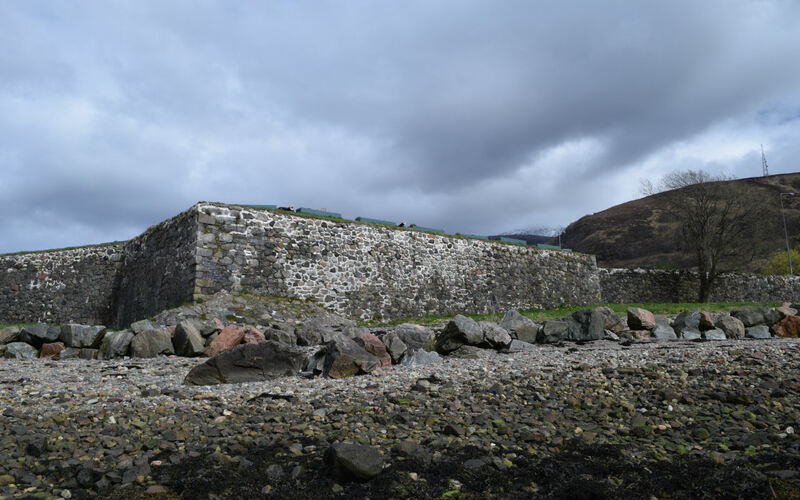 Fort William however, could be supplied and reinforced by sea, and it was this that enabled the defenders to see off its final seige by Cameron of Locheil in 1746. The history of this area is fascinating, and an appreciation of this is the key to enjoying mooching around the Fort in the rain. 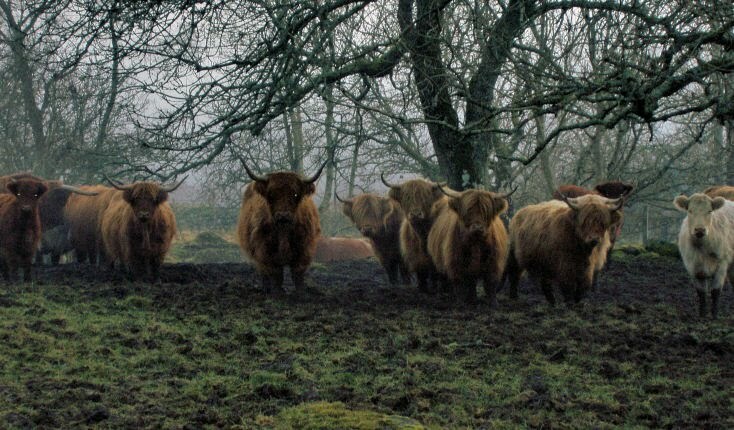 A visit to the West Highland Museum makes it all hang together: the crofting and clan lifestyles, the support for the Stuarts, artefacts of agriculture and warfare, fascinating mementos of the Jacobites like a secret royal painting that can only be seen by holding a specially shaped mirror up to it. The owner of this painting would be committing a rebellious act by displaying it, and its scrambled image was a way of protecting them during the Hanoverian crackdown on suspected Jacobites. 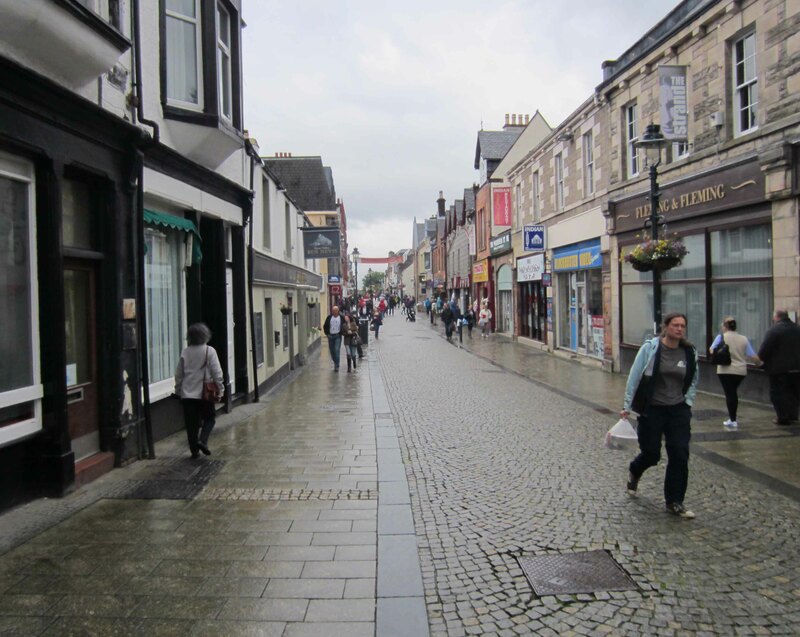 Fort William makes so much of its outdoor attractions, that its historical ones are afterthoughts: but next time you are stuck in Fort William in the rain, ignore the gear shop displays and seek out Inverlochy Castle, the old Fort, and the West Highland Museum. Ardmore's bedrock is a knobbly height that was offshore just after the ice age, but is now connected to the rest of the land by a rasised beach. A handsome Georgian mansion sits in a commanding position looking up the Clyde, with its back to the prevailing westerlies and surrounded by wind-sculpted trees. Just from its location alone it feels that it must have a dramatic history, but there is little on the internet about it. There were half a dozen cars parked at Ardmore, but it felt deserted, other walkers hidden in the bushes and folds of rock of the peninsula. The Clyde was asleep, the only noise coming from a container ship making its ponderous way upstream. The docks opposite - that once hosted scores of hammer-ringing shipyards - were utterly silent. As we came around the point, off the muddy path and onto the coast rocks, it felt a long way from anywhere. The air was fresh, human noise non-existant, only the sound of ducks and their splashes on the still water. Crocuses and the first daffodils of the year brought a dash of colour to drab scene. 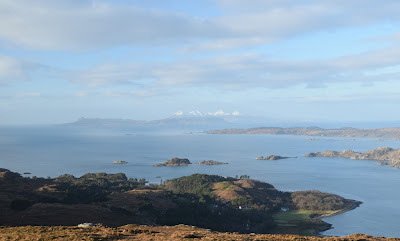 The rocks of the peninsula petered out to a viewpoint over the Clyde. To the left: the Lowlands. To the right: the Highlands. It was in this quiet area one of aviation's forgotten pioneers practiced his inventions. Although human gliding and the internal combustion engine were largely German innovations towards the end of the 19th century, everyone knows that it was the American Wright brothers, in 1903, who were the first to sucessfully marry the two together. But several men across Europe and North America had been in the race. One was Percy Pilcher, an English naval officer then technician at Glasgow University, who held the world distance record for a flight in a glider. The fields where Percy perfected his craft lay on the low hills behind Ardmore Point. On each flight he would have looked beyond the point to the shipyards of Port Glasgow and the hills of Argyll. Towards the end of the 19th century he had built a 4hp engine, and married it to a triplane. The big exhibition flight was to take place in public on 30 September 1899 at Stanford Hall in Leicestershire. 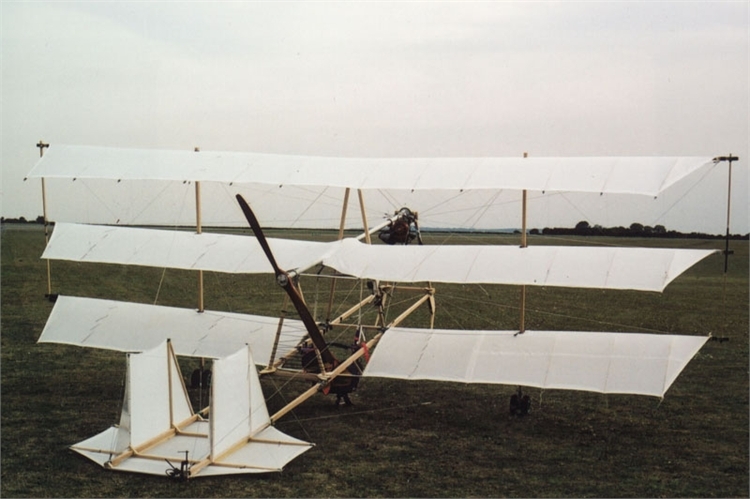 Engineers in 2003 proved that Pilcher's machine could have flown in 1899, four years earlier than the Wright brothers. So why is Percy Pilcher not the name written into the history books? On that fateful day of 30 September 1899, he decided that the weather was too bad to risk his new aeroplane, and he would give a demonstration instead in his glider. He crashed and died, Britain's lead in aviation dying with him. Ardmore and the fields west of Cardross is a peaceful place. But it was very nearly the place that incubated the first heavier-than-air human flight.